Shoulder tendons, or the rotator cuff, can become worn, called tendonosis (tendonitis in the early stages), or caught / trapped, called impingement. Common causes are repetitive overhead work or sports. Bursitis, this is when the fluid filled sack within the shoulder becomes irritated and inflamed. Frozen shoulder, this can happen to anyone and the cause is not fully understood, although it is more common in women aged 40-60. 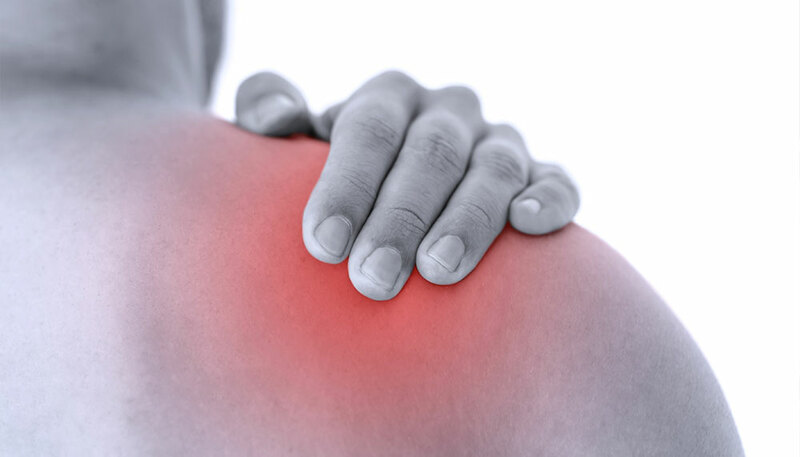 The shoulder becomes painful and restricted with every movement and can get gradually worse over a period of months. Arthritis is common in middle age and can affect the joint between the collar bone and the shouder causing pain and aching with movement. Referred pain, the shoulder can become painful as a result of other structures such as the neck, or the nerves. Established in Castleford for over 10 years, we are a small and friendly clinic providing expert treatment for a wide range of conditions including sports injuries and occupational injuries, through to whiplash and arthritic conditions.